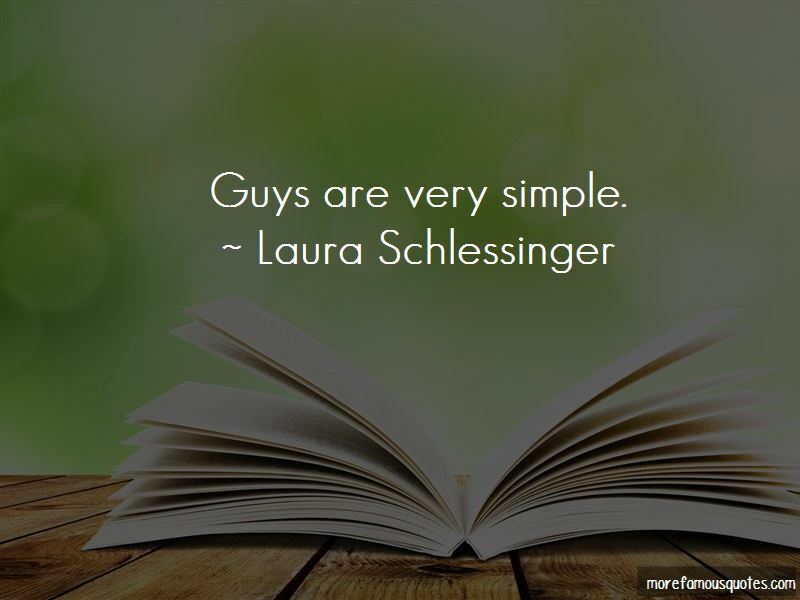 Enjoy the top 179 famous quotes, sayings and quotations by Laura Schlessinger. A typical complaint of married women with children is that their job stress tired them out so that they have little quality emotion and energy left for their children, much less their husbands. Some people seem to see compassion as being mushy. There is little reason left for society to respect women as it once did. Women get knocked up. They don't marry. They have abortions. They go to bars. They get knocked up again. You have the power. You are the magic wand. 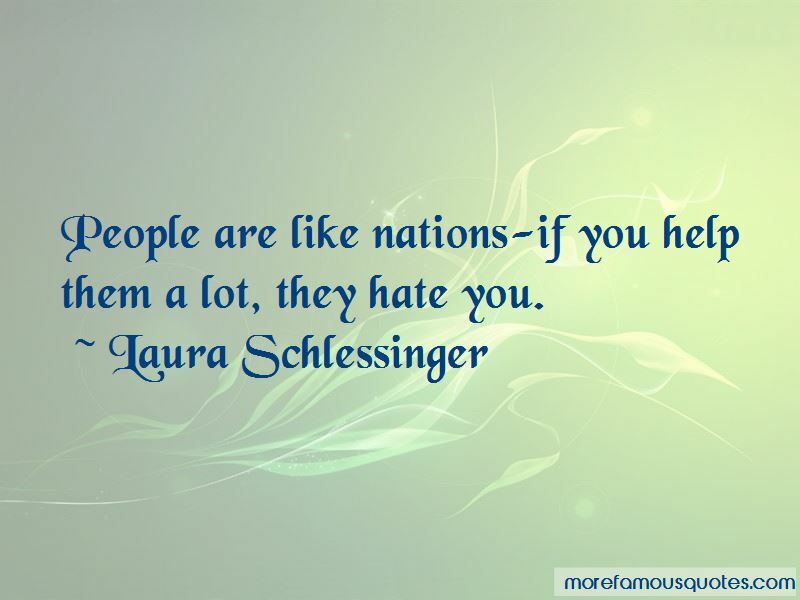 People are like nations-if you help them a lot, they hate you. Promises made out of ignorance should not be kept. It doesn't matter what you say [to me] after "even though". I never change my mind. Give it up. If someone has a boy who gets to age 18 without something [a bone] being fractured, that kid has been overly controlled. I'm so happy, I can hardly spit. Only good people feel guilt. 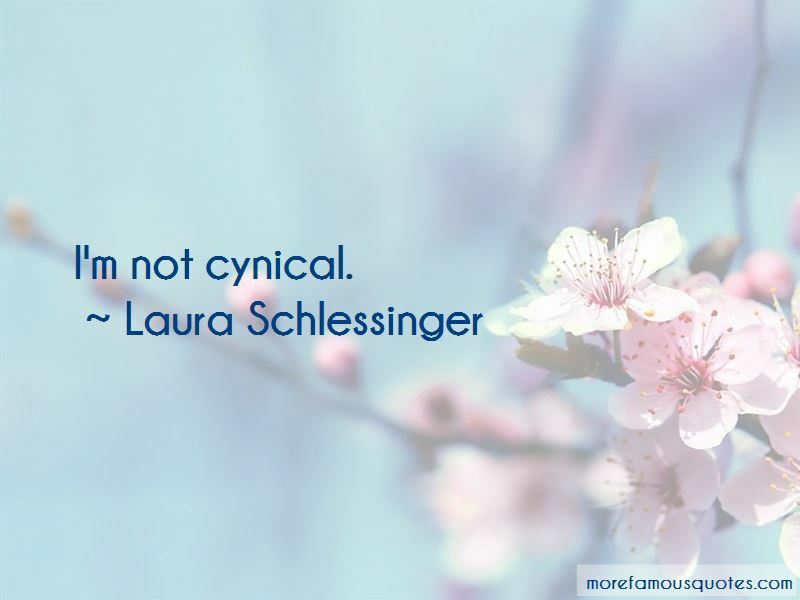 Want to see more pictures of Laura Schlessinger quotes? 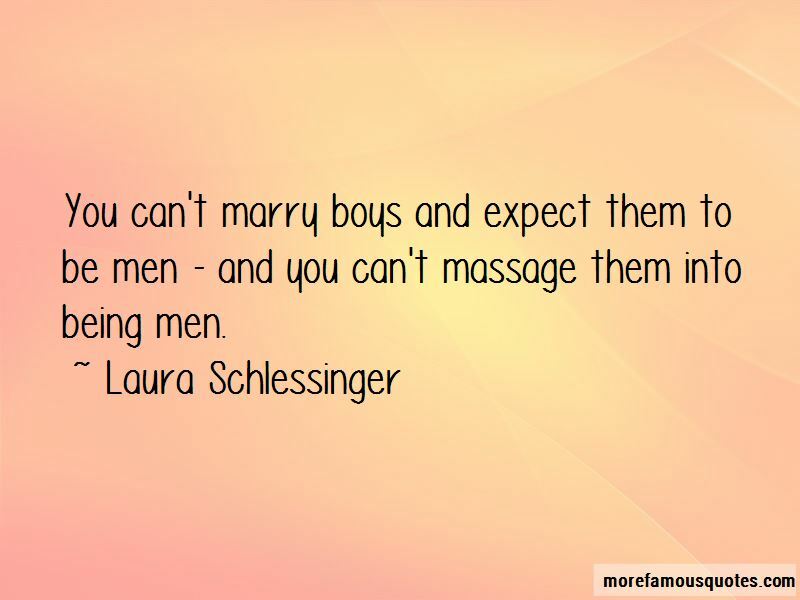 Click on image of Laura Schlessinger quotes to view full size.